I was sick over Christmas, and just got better the last couple days. Yesterday I cleaned my desk off, and I have been enjoying all the lovely space as I get in a lot of writing. It feels really good to have a nice clean workspace to start the new year with. I don’t expect most of you will ever go to La Grande, Oregon, it certainly was an unexpected stop for me (and a story for another time & post), but if you go there, be sure and eat at Joe & Sugar’s Cafe. The omelet was perfect, the muffins were out of this world, and the service went above and beyond any expectations. They were accommodating of food requirements and preferences, understanding of children’s needs, and best of all, they had a giant book basket for children to peruse while they waited for their food. Be sure and have a muffin while you are there. I had my muffin to go, and I was sorry, because I wanted another when I was done, and it was miles back the road by then. Has anyone else eaten here? 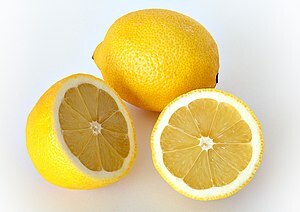 Peel the lemons, removing as much white fiber (under the peel) as possible. Dice the peeled lemons. Remove as many seeds as you can. Place the lemons in a pitcher. Fill pitcher with water. Put pitcher in refrigerator for 24 hours. The next day, add sugar and stir. Yum! I’ve been spending tons of time outdoors, getting the garden ready for summer. I also transplanted lots of celery starts today — hope they survive the treatment. And my napa cabbage is doing so well I had to thin it today. 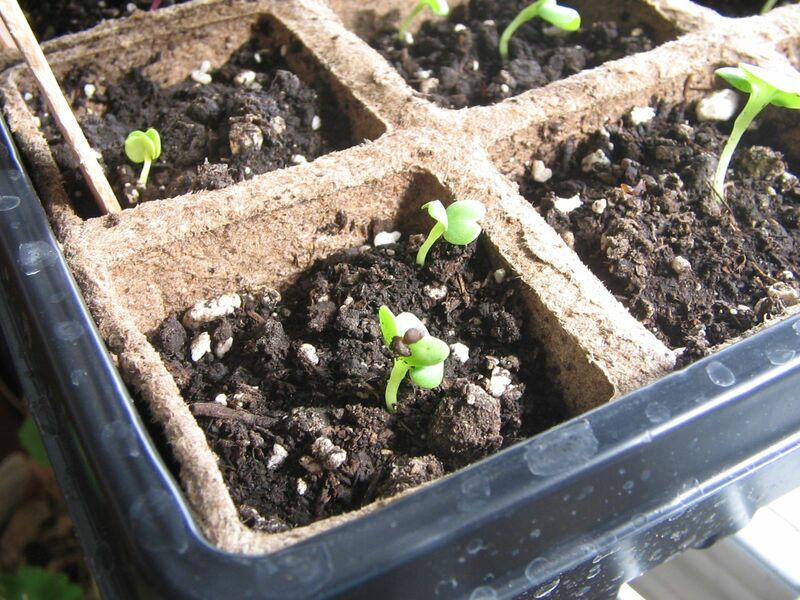 I can hardly believe I have to keep it indoors until the seedlings are 6 weeks old, but I am trying very hard this year not to do things too early — I lose too many starts that way, trusting the weather to hold, and it never does here in Idaho in the spring. In past years, I have always started my seeds too early and ended up with leggy, unhappy seedlings. So this year, I made myself wait until 3 months (12 weeks) before the last frost date to start any seeds, and I am spacing them out more carefully. I hope this results in happier seedlings. I also have a grow light, now. 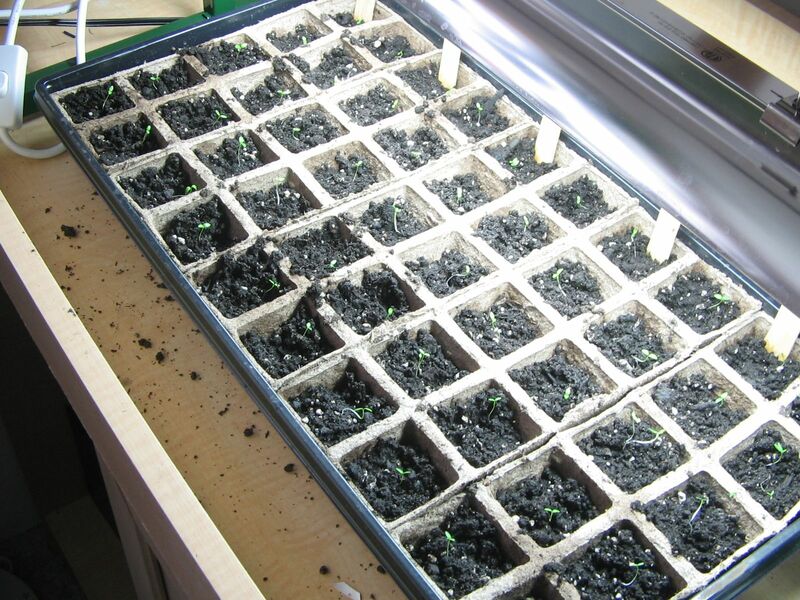 Yesterday I started seeds indoors: celery, celeriac, and leeks (2 varieties to space out harvest) under the grow light; and onions, napa cabbage, and cabbage in the window. Both flats are on heat mats. Today I built my first-ever mini-hoop house in the backyard, and planted endive, more onions, and mache’ (corn salad) in it. I built the mini-hoop house with hardware cloth, a row cover, and garden staples. It won’t stand up to heavy snow, so it’s not a winter hoop house, but I’m hoping it will stand up to the winds and light snows of early spring. So far, the cover hasn’t blown off with the mild breeze we’ve had today. (Well, it’s a mild breeze for eastern Idaho, it might be considered more of a stiff breeze most anywhere else). If it continues to hold up, I will post a how-to article here. I am planning to build a more substantial hoop house next fall for next winter, but I didn’t have the time or energy to deal with stakes, heavy-duty hoops, and half-frozen soil today. Yesterday, I made a trip to the plant nursery to pick up some large peat pots and new gloves (I go through gloves like you wouldn’t believe). I couldn’t resist two tiny kalanchoes in bloom, one pink and one white. They are very sweet. A new study has come out claiming that many foods are not what they claim they are — they have been adulterated. Pomegranate juice was found to have unlabeled apple or grape juice in it, lemon juice was found to be mostly water, the list goes on. This seems fairly harmless, even if annoying and illegal, until you realize that many Americans rely on food labels to keep them safe and healthy. If you have food allergies, ingesting even a little bit of a food you are allergic to can result in symptoms such as nausea, vomiting, hives, swelling, or even death. Unlabeled ingredients threaten the lives and health of everyone with food allergies. If you have food allergies, and you experience an adverse (bad) reaction to a food, and you are in the USA, contact the U.S. Food and Drug Administration. 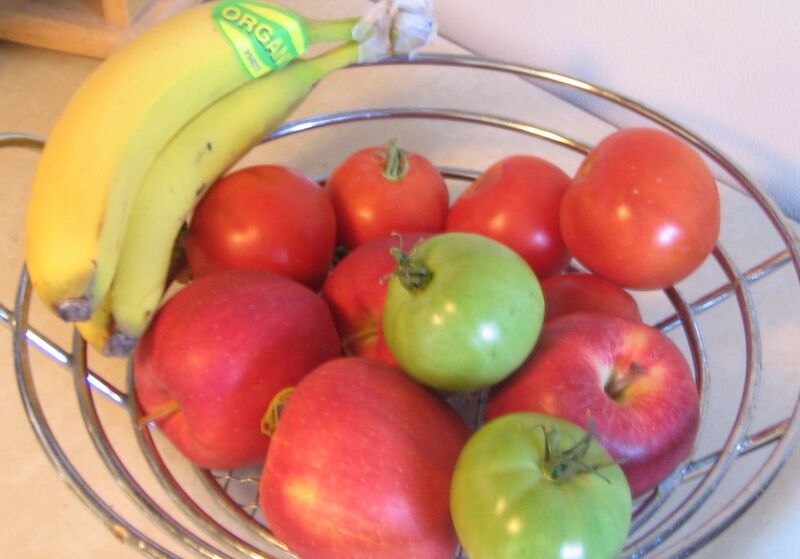 I was recently sent some food safety tips to share with my blog readers. These tips are from Compliance and Safety, a company creating safety and training DVDs for the workplace. I’ve excerpted the ones I thought most useful, the rest can be read here. Always wash your hands and, if needed, the food in question (even if it looks clean!). Use clean water to rinse of fruits and vegetables which don’t need peeled. Wash each lettuce leaf and grape pod individually. Use soap and water for those which will be peeled. Always wash all surfaces, utensils, and cutting boards that came in contact with raw meat and fish. Keep sinks and counters clean, as clean as possible at all times. Beware cross-contamination. Keep raw and cooked foods apart. Food safety must always be a priority. I’ve always seen those box tops on packaged food — you know, the special little dashed line boxes that say ‘Cut here and give to your school for money’. You’re supposed to cut it out and give it to your nearest school and then the school earns money from the manufacturer for things at school. And I always felt all warm and fuzzy inside, knowing that the manufacturer cared about kids. No. That’s not how it works. I no longer feel warm and fuzzy about box tops. In fact, I feel very, very angry. Because it turns out that the kids are made to hold contests to see who can bring in the most box tops and they get prizes, like candy, when they bring in completed sheets of paper filled with box tops. Each sheet has 20 spots for box tops on it. That is an incredible amount of prepared food. So the kids are saying things like ‘Mommy, buy more of [food we don’t buy] so I can get a prize!’ And of course parents want to make their kids happy, but not by buying food they don’t need or want, because they buy generic brands to save money and cook from scratch to be healthy. It’s all a ploy to get families to buy food they wouldn’t otherwise buy, under the guise of helping kids. It’s disgusting, really. If you are one of the families that can actually afford to buy name brand foods on a regular basis and/or you live somewhere where the healthy foods on the list are actually sold (which is not the case in my area, for example, we can’t get Green Giant brand fresh produce here) and these box tops don’t cause you angst and anxiety, then I apologize if I have offended you with this rant. You may have heard of the latest peanut butter recall, I had not until today. Many brands of peanut butter and other nut butters have been recalled, they were all produced at a single factory in New Mexico and were contaminated with salmonella. Many house (generic) brands were produced by this factory and labeled with the house label of the store they were sold at. You can find out if your brand of peanut butter is contaminated at the FDA’s website for food recalls.